Protesters clash with Israeli military over Palestinian man shot by Israeli forces | We Seek the Truth! 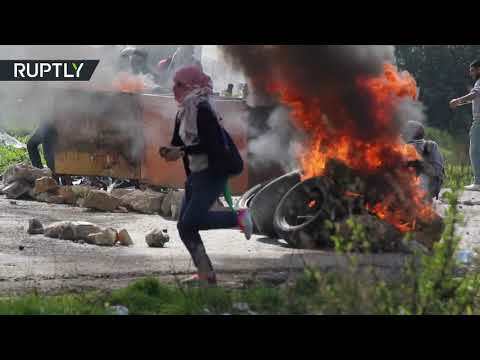 Fresh scuffles erupted between Israeli military and protesters in Ramallah a day after a Palestinian man was reportedly killed by Israeli forces near the city. Nineteen-year-old Omar Amin Abu Laila was reportedly shot dead by Israeli forces in Abwein on Tuesday, after resisting arrest. Abu Laila was accused of carrying out an attack in the settlement of Ariel on Sunday, which killed one Israeli soldier and one rabbi. How can he slap? Very, very, very, very hard!